Substance addiction could also imply substance abuse, since it also means the excessive usage of substance. Substance abuse is simply the act of using a substance without prescription from a medical personnel. It could otherwise be known as drug abuse. Drug abuse is popularly known to be the use of illegal drugs or the excessive use of legal drugs, which results to an overdose and also wrong drug usage. Drugs in this case is not limited to the antibiotics and pain killers that we are used to. It refers to any substance (with the exemption of food that provides nutritional upkeep) that when smoked, absorbed, injected, inhaled, or consumed through a patch on the skin, or passed through the mouth, is capable of causing a temporary physiological and psychological change in the body system, either negative or positive. Professional models are popular public performers that are basically engaged in the promotion and advertisement of commercial products and services, through body-part, fashion, fine art, glamour etc. Some of the medications or substance that professional models are liable to get addicted to could include alcohol, heroin, tobacco, cocaine, opioid pain reliever amongst others. Such addictions as previously listed could be caused by various incidences, some of them could be anxiety depression, pain, chronic illness amongst others. Substance addiction could be very disadvantageous and detrimental for models, as it could lead to public disgrace, bad reputation, trust issues, death etc. Due to the risk of this, models are encouraged and implored to beware of it and consciously regulate the intake of such substance. In order for models to checkmate this addiction, there are some symptoms that should be consciously checked. Some of them may include, dizziness, fatigue, mood changes, anxiety and depression. In the case of a chronic addiction to drugs and other substances such as alcohol, it might not be quite easy to withdraw from such addiction. A sudden withdrawal is not advisable as it requires a gradual process, because it is capable of resulting in some life threatening withdrawal symptoms. Sudden withdrawal from substance addiction can create cold and aggressive shivering, sweating, seizures, sudden heart failure etc. There are also some risk factors that can increase the chances of developing problem with substance abuse, some are long-term tobacco intake, loneliness and boredom, sleeping issues, mental health issues, disability stress and the likes. Models seem to have everything going on fine for them, what the rest of the world does not know is, a number of them are “big-time” victims of a poor mental health. However on the outside, everything looks glamorous, with some fans even working on replicating their lifestyles in every possible way. The models in question cannot begin to narrate what they have been through for as long as their mental health problem came into play. They understand how important their public image is, and hence, this problem must be concealed at all times. The mental health of a models is a huge cause for concern, as the modelling industry is one which can create uncertainties and anxieties. 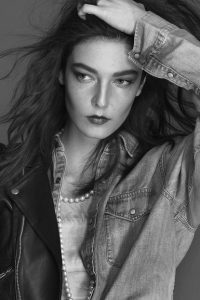 For young models who are new in the industry, they must learn now to tackle this head-on, in order to adjust better when the going gets tough. ENDLESS REJECTION: One of the regular causes of mental health problems in models, is the endless rejection. No matter how good the result is, irrespective of the modelling category, criticism and rejection are bound to occur. This duo regularly affects models and shrinks their confidence, younger models are at greater risk of this. THE SOCIAL MEDIA: For models, the number of followers on their social media accounts could be hurtful owing to the fact that they are expected to have plethora of followers. A lot of models crave attention from their fans on the social media and once they don’t receive such on a regular diet, the pain starts eating into them, which eventually leads to insecurity. DISPOSABILITY: Models are aware of the fact that in the modelling world, no one is really indispensable. There would be a time when younger models would replace the older ones, and the cycle goes on and on in the same way. Hence, awaiting when you would no longer be relevant often causes uneasiness. As new faces emerge in the modelling world, the older faces see this as a threat which cannot be combatted, and hence mental health problem sets in. For successful models in the modelling world, sharing their story and experience openly, would encourage and motivate models who are still actively engaged. Also, models who are struggling with mental health problems are advised to visit a health specialist before it gets out of hand.